This grander, caught on the IHU NUI with Capt. Freddie Rice, was the first grander in the 28-year history of the HIBT. It was Rice's first HIBT as a captain although he had fished in the tournament before. 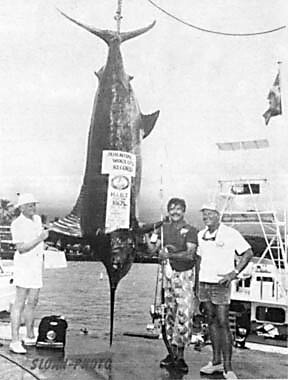 Fight time was 1 hour and 20 minutes and this fish became an IGFA world record for Gil Kraemer.